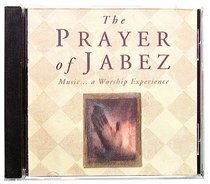 THE PRAYER OF JABEZ is a worldwide phenomenon. This CD reflects the message of the book, with inspiring new songs from Rebecca St James and Michael Tait, Margaret Becker, Geoff Moore, Erin O'Donnell, Phil Keaggy and Kevin Max. About "Breakthrough #01: Prayer of Jabez"